My neighbour will be 83 this year. He grew up eating eggs fresh off their family farm. A while ago he told me about how he loves eggs but now restricts them due to cholesterol. This wasn’t the first time I had heard this sad story. It’s tragic when good, affordable foods gets given a bad name. Especially things like eggs that contain so many essential nutrients. Eggs can provide an instant source of nutrients as they are very easy to digest, especially raw or lightly cooked. I explained to my neighbour that after 25 years of study, eggs have been found to actually help bad artery clogging cholesterol and It isn’t a secret. There’s even a pamphlet at our towns doctors office that says “eggs are good for you.”. Eggs have always been good for you. I love eggs so much that I get 150 dozen at a time so I can spread this true wealth. I use them as trade or give them as gifts. I use eggs as a form of tithing. I give them to people in need. By doing this, I am giving them almost every nutrient they need. >Who doesn’t need good eggs? Who doesn’t need good food?!?! 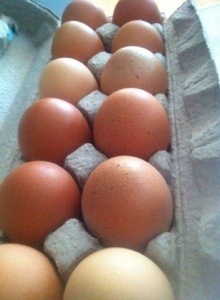 Last year on a quiet walk I casually met up with a man who asked me about the eggs I had for sale. 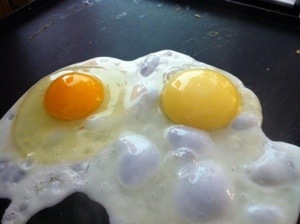 He told me that he too loved eggs but was restricting them for health reasons. It didn’t take much convincing that he should eat the eggs he loves everyday. And this is a very educated man, a French teacher at the local school here. What I told him made sense to him and something clicked. He went home a happy man with eight dozen eggs for him and his two boys. Other than being nutritious, eggs are so versatile and I am always learning new ways to incorporate them into foods. I even enjoy blending one into my morning coffee as some added creaminess and as instant nutrients that are easy to digest. I am often awed by the ways that eggs can act. You can use eggs to thicken like in this tangy lemon curd. I also love quick crustless quiches, custards, soufflés, puddings, homemade icecream (I use up to 12 yolks in mine) and blended into smoothies. Eggs have been very underrated. A good source of eggs can cost between $4-$9 a dozen. Even at $9 a dozen, think about what you are getting. An amazing source of protein and essential nutrients. They contain all the building blocks for life as they are intended to nourish a baby chick into being. We get our eggs from a few good sources but our main supply is from our beloved Bill, or as he’s better known as: Chicken Man. Him and the chicks are near Neville, Saskatchewan and live happily on his well-treed paradise on the prairies. Chicken Man is a very unique and kind hearted guy. You can tell in the way he both acknowledges and speaks to children and animals. Having his birds speak back to you is not something that is casual. I was out at his place the other day and he told me about his baby Turkeys. I told him about other peoples experiences, including my favourite author Barbara Kingsolver, with not being able to get turkey’s to breed, even heritage ones. He said “Nah. It’s easy. They do it all the time.” Oh man, I still chuckle about that. I love buying my eggs from someone who is called to have birds. Recently he told me about his “pet” blackbirds. How he has videos of them riding around with him in his truck. Blackbirds? Most people around here shoot blackbirds but not Chicken Man, he takes them in as friends. I could go on about him but really you should just try his eggs. In every bite you can feel good knowing you are supporting local, healthy food. It’s what the world needs. 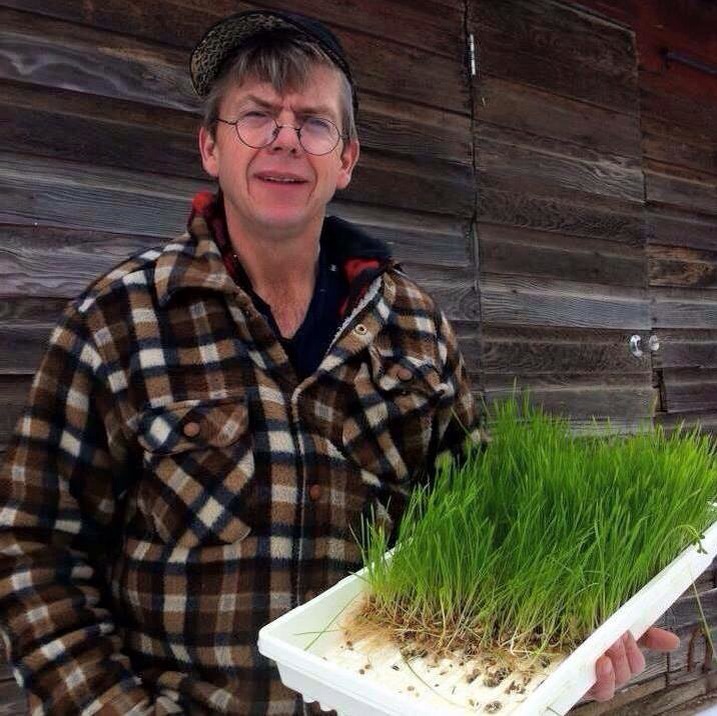 This is Chicken Man with the grass he sprouts for his chicks in the winter. 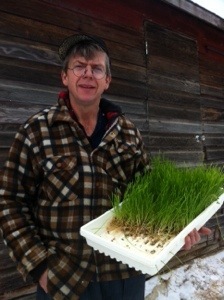 Chicken Man with his tray of grass that he sprouts for his chicks in the winter. Previous From Farm to Folk. Next Morning Thoughts From Me, At The Wandering Market.